Set in the heart of Knightsbridge, Searcys at 30 Pavilion Road has long been a famous address for memorable private and corporate events. Harrods is just around the corner, and so very close to Sloane Street, Chelsea and the West End is only a short ride away, it is a prime location. 30 Pavilion Road was transformed and opened in 1963 to hold it’s first of many events. Original features such as the marble fire places, stone floor and antique wood panelled Library room were reclaimed from historic locations to create a luxuriously traditional country style Georgian townhouse. With rich décor and a stunning 18th century fireplace, the Stone Hall offers a warm welcome for all events. This room is the perfect space for welcoming your guests and is a favourite for pre-dinner receptions and wedding ceremonies. Perhaps the homeliest room in the house, the Library is ideal for smaller events. The wood panelling, bookshelves and cosy lounge furniture instantly set the scene for an intimate reception, after-dinner drinks or wedding ceremony. 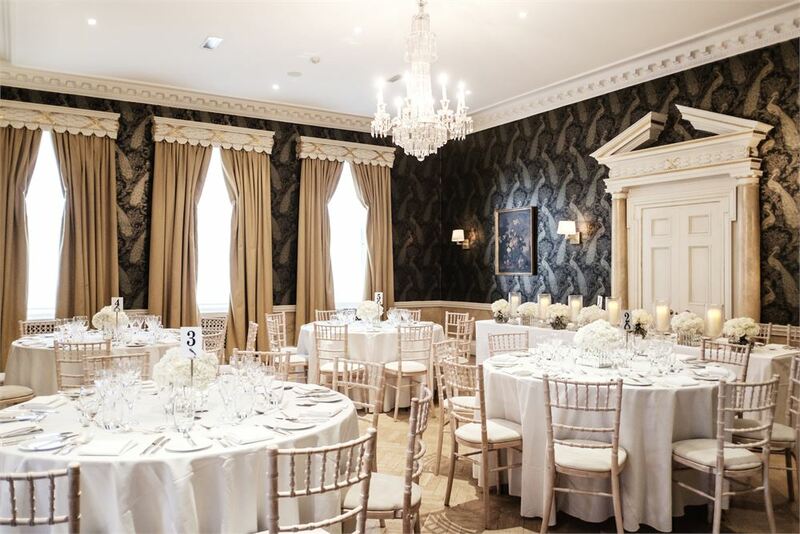 The largest of our reception rooms, lunches and dinners can be enjoyed surrounded by a beautiful marble fireplace and glistening chandeliers. The natural colour scheme makes it easy for our guests to co-ordinate flowers or lighting, the perfect space to fit any theme or style of event. The Roof Terrace offers a private getaway for you and your guests. Ivy covered trellises, stone patio and plenty of outdoor seating; we can create an idyllic garden party setting for any event.